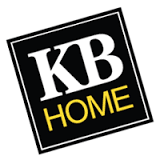 Evercore ISI analyst Stephen Kim downgraded KB Home (KBH) to Hold today. The company’s shares closed yesterday at $23.14. According to TipRanks.com, Kim is a 5-star analyst with an average return of 12.8% and a 67.5% success rate. Kim covers the Consumer Goods sector, focusing on stocks such as Toll Brothers, PulteGroup, and Tri Pointe. Currently, the analyst consensus on KB Home is a Moderate Sell with an average price target of $20.67, representing a -10.7% downside. In a report issued on February 25, Raymond James also downgraded the stock to Hold with a $25 price target. KB Home’s market cap is currently $2.01B and has a P/E ratio of 14.62. The company has a Price to Book ratio of 0.96. KB Home engages in selling and building a variety of new homes. It builds various types of homes, including attached and detached single-family homes, townhomes and condominiums. It operates through the following segments: West Coast, Southwest, Central and Southeast.